The 47th Biel Chess Festival “In Memoriam Hans Suri” took place on 12-25th July, 2014, in Biel/Bienne, a town in Switzerland. The average rating of the tournament of 2717 made it 19th FIDE Category. 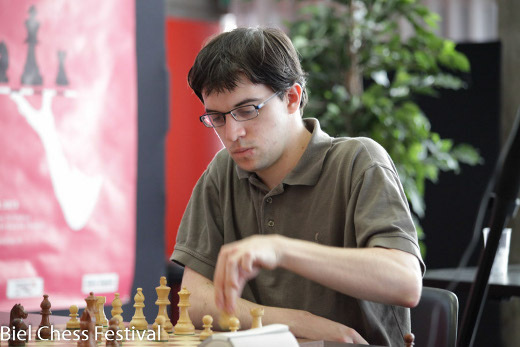 The French Grandmaster Maxime Vachier-Lagrave emerged champion with 6/10 points. His only loss in the penultimate ninth round against Anish Giri didn’t spoil the winning performance. Radoslaw Wojtaszek took clear second with 5,5 points, while Pentala Harikrishna, Anish Giri and Yifan Hou shared third place on 5 points each. Alexander Motylev finished sixth with 3,5 points.